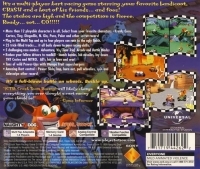 Box Text: It's a multi-player kart racing game starring your favorite bandicoot, CRASH and a host of his friends... and foes! The stakes are high and the competition is fierce. Ready... set... GO!!!!! 12-17-2018 empovyle Box Text It's a multi-player kart racing game starring your favorite bandicoot, CRASH and a host of his friends... and foes! The stakes are high and the competition is fierce. Ready... set... GO!!!!! 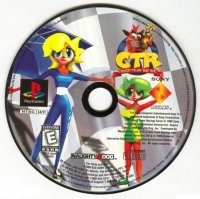 This is a list of VGCollect users who have Crash Team Racing in their Collection. 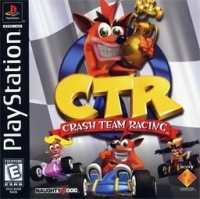 This is a list of VGCollect users who have Crash Team Racing in their Sell List. This is a list of VGCollect users who have Crash Team Racing in their Wish List.